We hope you have had a great start to the New Year. It has been a busy First Quarter for Sandy Cove Advisors as we just recently celebrated our 8th year in business thanks to our growing client base and strong team of professionals. As we reflect back on this period, we are grateful to all of our wonderful clients for inviting us into their lives and viewing us as their trusted advisor. We do not take this role lightly and hope you find our disciplined, objective approach gives you the peace of mind and the gift of time for other pursuits. It’s been a volatile start to the year for the global markets, with the first 10% correction in more than two years. Yet as of this newsletter’s publication, the S&P 500 is up ~2% on the year. In our Markets section, Rob reviews the recent pullback, and previews the year ahead as we anticipate more average volatility levels. Rob will also feature a recap from our recent Investment Committee Meeting and the thoughts from our seasoned group of professionals. With this increased market volatility, we are meeting with many individuals and couples who have been managing their investments on their own and are seeking professional advice to guide them through these choppy waters. This is where the solid foundation of a financial plan comes into play and keeps individuals on track for the long-term. Please see Rob’s chart highlighting the average investor’s return which is attributable to letting emotions and market timing drive your investment decisions. The good and the bad, is that our divorce practice continues to grow through word-of-mouth. We offer a welcoming environment that puts clients at ease knowing that they have a financial advocate through this emotional process. 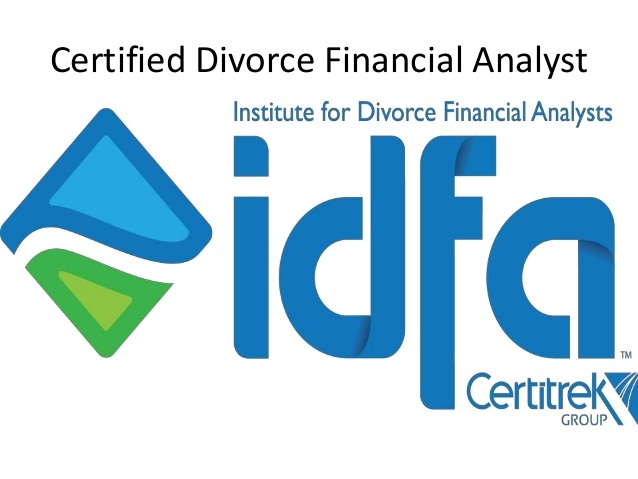 To further demonstrate our commitment to this group of clients, Deirdre joined Toni and recently obtained her Certified Divorce Financial Analyst® certification. Given the recent implementation of Tax Cuts and Jobs Act, we found it timely to highlight some of the major tax reform changes and are focusing on the new enhancements for 529 education savings plans. We are poised to continue this momentum into 2018 and look forward to delivering exemplary service to our clients. Our goal, as always, is to offer sound investment advice, guide our clients and help simplify the management of their financial affairs. Please feel welcome to introduce us to like-minded friends, family and advisors that may benefit from our services. Wishing you and your family an enjoyable early spring season. 2017 Review: By just about all metrics, 2017 was a very good year for investors. Since the inception of the S&P 500 Index in 1928, the average annual return has been approximately 10%. In 2017, the S&P 500 delivered a return of 21.69%, more than double its historical average! Investors with international equities fared even better. The MSCI Emerging Markets Index gained 37.28% and International Developed stock markets averaged a 25.03% gain. The broadest measure for bonds, the Barclays US Aggregate Index, also posted a respectable year, ending up 3.54%. One of the most interesting things about 2017 was the lack of volatility for bonds and stocks. The U.S. stock market did not have a single down month during 2017 and the largest correction for the S&P 500 was just 3%. In comparison, over the past four decades, the average intra-year decline for the S&P has been 14%. The stellar returns of 2017 are particularly noteworthy when we consider the consensus thinking of a year ago. At the start of 2017 "Wall Street's Top Strategists," as polled by Barron's, were looking for the S&P 500 to eke out a meager 5% gain coupled with a rocky year for bonds. So why the upside surprise? In a nutshell: a strengthening and continuing global synchronized economic expansion, increasing consumer and business confidence measures and a benign inflation and interest rate environment. 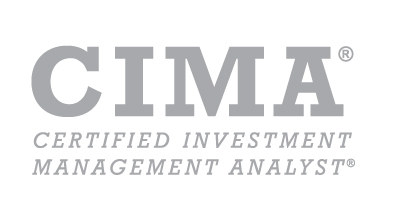 2018 Preview: Our Investment Committee (IC) had a quarterly meeting in late January, just prior to the recent 10-12% correction. The main themes on our minds for 2018 were valuations, the strengthening global economy and the path of interest rates. We’d be happy to forward our IC minutes and presentation for all those who care for a deeper dive. Given the unprecedented run-up the stock market enjoyed post the November 2016 U.S. Presidential election (a 35%+ advance and 445 days without a 3-5% decline), we felt we were very overdue for a pullback. We recalled that 10% corrections used to be deemed “healthy” in the not too distant past and valuations for U.S. stocks were indeed stretched. Shortly after our IC meeting we got our long awaited correction. Valuations did get much more reasonable, and we used the opportunity to put excess cash to work. However, the ensuing rally has been sharp and it is again tougher to find bargains in the U.S. market. However, international equities are still at good relative valuations. We are expecting 2018 to be a year when the markets return to “normal” or “average” volatility levels. We will not attempt to “time” the market’s volatility but we will opportunistically and periodically put cash to work and rebalance accounts. We are comforted by the strengthening global economy where almost all of the world’s major economies are in expansion mode. Our biggest concern in this expansion is the demand for money which is represented by interest rate levels. We expect the demand for money to be elevated and, since the Fed and other central banks are curtailing their stimulus efforts, we do see rates rising for the balance of 2018 and into next year. To protect capital in this rising rate environment we will keep the maturities and durations of our bonds at conservative levels. Going forward, managing your money will require a more disciplined approach to reach your goals. One-way markets, which only go up, are nice but are not sustainable. As the chart below highlights, the average investor woefully underperforms the disciplined investor who properly diversifies, rebalances appropriately and stays invested. Holding too much cash after a bear market run or correction can significantly eat into returns. Conversely, trimming profits and reallocating to asset classes that have underperformed is also quite important for steady returns. As we adjust your portfolio for the new challenges and opportunities of 2018 and beyond, we welcome an ongoing dialogue to ensure utmost satisfaction in meeting your objectives. The largest tax overhaul in 30 years was passed in late 2017, the Tax Cuts and Jobs Act (TCJA). This reform will simplify the tax filings for millions of Americans by eliminating many deductions in favor of a higher standard deduction. We have highlighted some notable changes for individual taxpayers at all income levels, keeping in mind that many of these changes will sunset in 2025. The number of brackets has been reduced, and the highest rate has dropped from 40% to 37%. With the new tax bill, the state and local income tax deduction is being capped in aggregate at $10,000. Previously, assuming you were not subject to AMT, you were able to write off the full amount of state and local property taxes which was especially helpful for residents of high income tax states, such as New York, New Jersey, California, Connecticut and Vermont. Under the old tax law, you were allowed an exemption deduction ($4,150 per person) from AGI for the taxpayer, taxpayer’s spouse and each of their dependent children. The elimination of this exemption was offset almost doubling the Standard Deduction. This change means that many households that historically filed a Schedule A will now take the standard deduction, simplifying tax preparation for approximately 30 million or 94% of Americans, according to USA today. Deductions for employee business expenses, tax preparation fees and investment expenses are no longer allowed under the new tax law. Substantially fewer individual taxpayers will be subject to the Alternative Minimum Tax (AMT) this year. This parallel tax income system requires high-income taxpayers to calculate their tax bill twice: once under the ordinary income tax system and again under the AMT. The taxpayer then needs to pay the higher of the two. Many former triggers for AMT have been eliminated leaving more unusual items such as incentive stock options, interest from certain municipal bonds and net operating losses. One of America’s favorite tax deductions was saved from being axed, albeit reduced from $1,000,000 to $750,000 for new home purchases. To take deductions for home equity loan interest, you will be limited to substantial capital improvements on your house. You will need to keep detailed records on how the proceeds are used. From 2018 through 2025, the federal exemption thresholds double to nearly $11 million for individuals and nearly $22 million for couples. The top estate tax rate remains at 40% and the annual exclusion has increased to $15,000 per person. Previously, net unearned income in excess of $2,100 for children under 19 (or 24 if full-time students) was taxed at the parents’ tax rate. If the child had earned income, it was taxed at the child’s rate. Under the new law, the child’s unearned income is decoupled from the parents’ tax rates and is instead taxed at the punitive rates applicable to trusts and estates with the highest rate of 37% kicking in at $12,500 in income. Starting in 2018, the maximum Child Tax Credit is doubled from $1,000 to $2,000 with the phase out level raised to $400,000 for joint filers and $200,000 for all others. The refundable portion for qualifying taxpayers is increased to $1,400. Taxpayers now may deduct contributions equal to 60% of their AGI, up from 50%. This applies only to cash contributions and not donations of stock, personal property or complex assets. The penalty of $2,085 for not carrying a minimum level of health coverage was reduced to $0 starting in 2019. Under the current law, which applies to 2017 and 2018 tax years, taxpayers can deduct out-of-pocket medical expenses if they exceed 7.5% of AGI. As of 2019, this threshold is raised to 10% of AGI. Starting in 2019, alimony payments are no longer deductible for the paying spouse and no longer included as income for the receiving spouse. This means the tax treatment of alimony is similar to child support. This move changes the economics of many divorces with payments to the lower income spouse likely reduced and will affect the size of future settlements. This provision affects divorce agreements executed or modified after December 31, 2018. This list is by no means exhaustive and we encourage you to speak with your tax advisor to better understand the impact of these changes on your particular situation. As always, please feel welcome to contact Sandy Cove Advisors if you have any questions, or would like to further discuss the recent tax reform changes. While the Tax Cuts and Jobs Act may be primarily known for bringing major changes to corporate and personal tax rates and deductions, the plan also includes a smaller provision that will expand the benefits of 529 education savings plans. A 529 plan is a tax-advantaged investment account originally designed to help families pay for college. The earlier you start saving, the greater you will benefit from tax-free compounding. Currently, 529 withdrawals are tax-free as long as the funds are spent toward qualified higher education expenses, which include tuition, room and board, and computer software and equipment at any eligible post-secondary institution. With the new tax bill, parents who send their children to private secondary school will have more options when it comes to saving for tuition. Tax reform now allows 529 plans to be used for up to $10,000 per year in K-12 tuition expenses, giving more parents – and grandparents – an opportunity to save tax-free for private and religious school. With a shorter time horizon, you might not see much of a federal tax benefit from using a 529 to pay for elementary school, but you could be eligible for a state tax break. Currently, 35 states offer a deduction or credit for contributions to a 529 plan. The amount of the potential benefit varies by state, but deduction limits range from $500 per year (for an individual) to the total amount of the contribution. Some states also allow residents to carry forward any excess contributions above the limit to future tax years. Generally speaking, you have to use your home state’s plan to qualify for the deduction or credit, but residents in select states may be eligible for a tax deduction for contributions to any state’s 529 plan. If you’re already using a 529 plan to save for college, you may want to consider opening an additional account to save for K-12. This will help you keep better track of each goal, and select the appropriate investments based on your withdrawal schedule. Keep in mind you want to avoid overfunding a 529 plan as a 10% penalty and taxes on earnings will be due on funds that are withdrawn for non-educational expenses. There are other ways to use excess 529 funds, as the plan can be applied to another family member, or even yourself if you wish to go back to school! It is worth noting that some states will not allow future contributions depending on the value of the 529 account. How Much Can You Contribute Annually? Annual gift tax exclusion: One of the many benefits of saving for a child's future college education with a 529 plan is that contributions are considered gifts for tax purposes. In 2018, gifts totaling up to $15,000 per individual will qualify for the annual exclusion. This means if you and your spouse have three grandchildren you can gift $90,000 ($30,000 per grandchild) without gift-tax consequences, since each child can receive $15,000 in gifts from you and $15,000 in gifts from your spouse. If you front-loaded a plan with $75,000, and let it compound annually for 18 years at 5%, it would compound to $180,496. If you contribute $75,000 over 18 years in annual installments of $4,166, the total would be just $117,200. That’s $63,297 in lost earnings on your contribution. As you can imagine, the numbers are even larger if you and your spouse front-load $150,000. If you choose to front-load, remember that you can’t make additional contributions until the five years are up, at which time you can contribute another $75,000 for the next five years if appropriate for your situation. In another significant change, tax reform also enables a 529 plan to be transferred to a 529 ABLE account. Achieving a Better Life Experience (ABLE) accounts are for people who become disabled before age 26 and don’t limit the person’s access to Medicaid, Social Security income or SSI benefits. 529 ABLE plans grow tax free, and annual contributions are capped at $15,000. Withdrawals may be used for qualified disability expenses such as housing, legal fees, medical treatments and job training. What changed with tax reform is the ability to transfer up to $15,000 a year from a 529 plan to a 529 ABLE account for the benefit of the disabled person. If you have a loved one that qualifies for a 529 ABLE account, we suggest consulting with your financial advisor about the benefits of this type of tax-advantaged savings account. If you or a loved one are looking for another way to save (while spending), we suggest considering Fidelity’s Rewards Visa Signature Credit Card with unlimited 2% cash back and no annual fee. This credit card offers flexible reward choices on points earned, and points may be redeemed as a cash deposit into a 529 plan. For example, if you spend ~$1,200 on a monthly basis with this credit card over the course of a year, eligible purchases could earn cash back of ~$285 into a 529 plan. Over 20 years, investing these incremental deposits could amount to nearly $12,000 of value. Please note that while Sandy Cove Advisors does consider Fidelity a strategic firm partner, we are not compensated on the promotion of this credit card. We are always looking for ways to share a valuable benefit with our clients, advisors and friends. As always, please feel welcome to contact Sandy Cove Advisors if you have any questions, or would like to further discuss 529 Education Plans and the recent tax reform changes. Sources:  House Ways and Means, Wall Street Journal, Fidelity Insights, UBS 2018 Tax Planning Guide. Views expressed as of date indicated, based on information available at that time and may change. Unless otherwise noted, the opinions are those of Sandy Cove Advisors (SCA). SCA does not assume any duty to update any of the information. It is not intended to be and should not be construed as legal or tax advice. Laws of specific state of laws relevant to a particular situation may affect the applicability, accuracy or completeness of this information. Consult and attorney or tax advisor regarding your specific legal or tax situation.